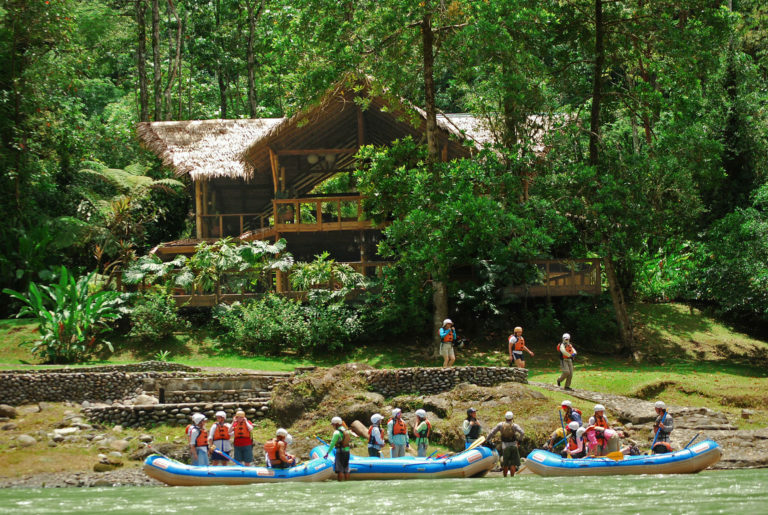 White water raft into your luxury jungle lodge. You’re welcomed to Costa Rica the moment you arrive, with this adrenaline filled adventure! There are no roads to the lodge, so the preferred mode of transport is along one of the world’s most renowned white water rivers. 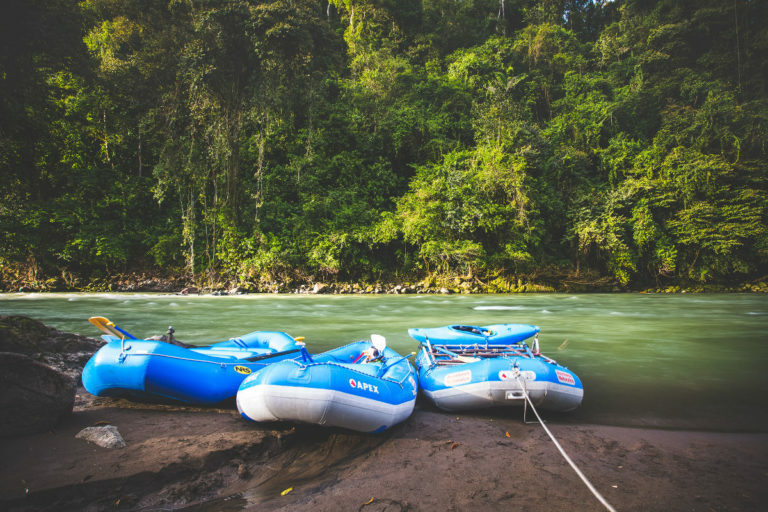 On a large raft, you’ll set out on a journey through thick jungles, past lush farmland, and alongside towering volcanoes. Listen out for the welcome call of the monkeys, and watch the vibrant blue butterflies dancing in the sun which cracks through the trees. 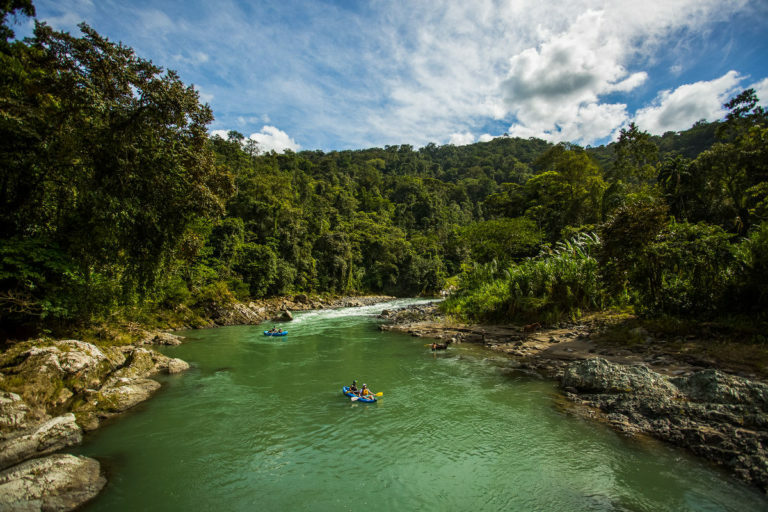 The miles of raging rapids give way to a peaceful opening, and here, you’ll enter a true jungle paradise at the Pacuare Lodge.